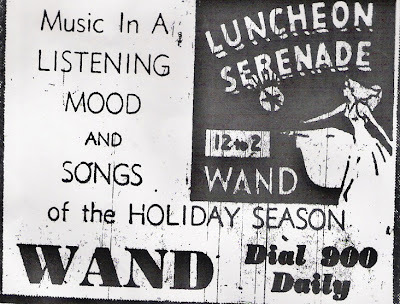 I've always had kind of a soft spot for the Christmas Holidays, especially when it comes to Television specials and just general Holiday Cheer on Television during this time of year..I'd like to share Video clips from Christmas shows of the past, as well as sharing Holiday Greetings Through TV Guide station ads as far back as 1953, as well as Christmas time Schedules through the years.. 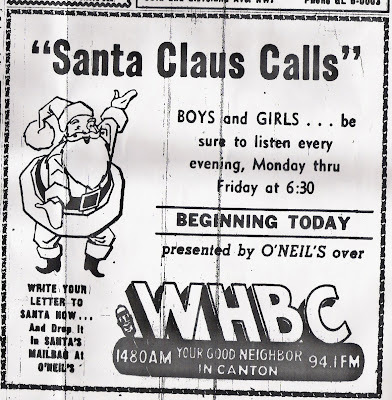 While we will be highlighting Christmas during December, It wont be all Christmas posts..If something else comes up, I'll write about it of course...Thanks everybody for visiting..
Thanksgiving and the day After:50 years ago..
Thanksgiving Day..November 23, 1957 Radio Listings for the Canton Repository..Click each listing to make it easier to read..
From "Your Good Neighbor" WHBC-AM/FM..Santa Claus Calls..A traditional program for the kids to send letters to read on the air..sponsored by O'Neills Department Stores..I Think I read somewhere that longtime WHBC personality Jim Roberts played "Santa" on this program..
Friday, November 24, 1957 Radio listings in the Canton Repository..By 1960, complete radio listings would go by the wayside in favor of paid station ads with program highlights..WHBC did paid ads for a few years..until 1967-68. Today, I thought we would take a look at an even earler Thanksgiving-November 23-24, 1957..As presented in the Canton Repository..Things were very different back then..While the media certainly pushed the Holiday Shopping season, The Friday after Thanksgiving wasnt called "Black Friday" as yet..Radio stations actually waited until the day after Thankgiving to play Christmas music..and didnt play all Christmas music till later in December..The day after Thanksgiving also brought out the first sighting of "Santa Claus" or his "elves" all over the Holiday Airwaves as 1480 WHBC in Canton began "Santa Claus Calls" Nightly at 6:30 PM and WEWS-TV 5 in Cleveland brought out "Mr. Jingeling" for his second season of Holiday Cheer at least twice every weekday.. 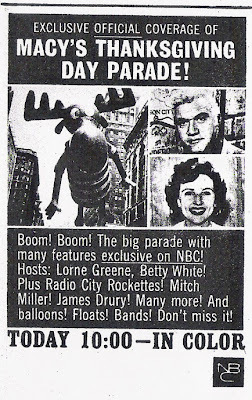 Ad for NBC's coverage of Macy's Thanksgiving Day Parade on Thursday, November 28, 1963..Betty White and Lorne Greene were hosts this year as they would be every year from 1962-71. NBC has had Macy's Parade Coverage since 1952.. 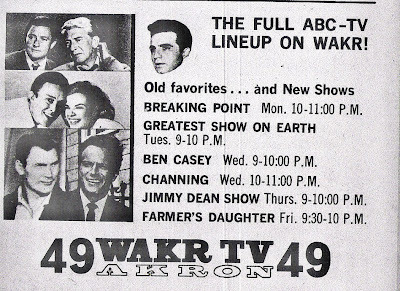 Apparently WAKR-TV 49 Akron was going for a new image..Carrying the full ABC Lineup..In previous years they had been known for local movies in prime time and preempting ABC or running ABC shows at other times out of pattern. 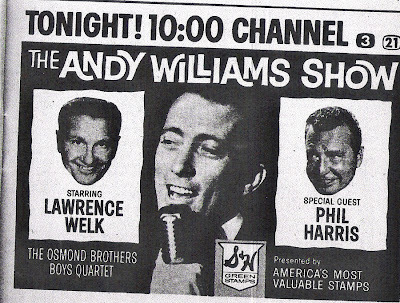 TV Guide Ad for "The Andy Williams Show" on NBC Tuesday Nights at 10PM. Other than a few guest appearances on the Jack Benny Show, Phil Harris didnt do a lot of television..The Osmonds were known as "The Osmond Brothers Quartet"..Still relatively early in their Careers.. Lets take a look at The week of November 23-29, 1963..While the schedules below reflect Wednesday and Thursday November 27-28, We'll look at some highlights of the entire week..When I copied these listings, I had no thought of what had happened at the time, namely John F. Kennedy's assassination in Dallas, Texas on Friday, November 22..Network Schedules were prempted for the next several days after..Let's look at what was supposed to be aired during this week..
Also on Saturday, KYW-TV 3 aired "Barnaby goes to Plymouth" A filmed "Barnaby" (Linn Sheldon) program in which he visits Plymouth, Mass. In a special Thanksgiving show. Monday-Friday on NBC's "You Don't Say" (In Color)..John Astin and Carolyn Jones of "I'm Dickens, He's Fenster" ABC sitcom are guest panelists..They would be teamed the following fall for ABC's Addams Family..
WEWS-5 has Price Is Right Primetime Wednesday 11-28 at 8:30 PM with guest Troy Donahue joining Bill Cullen..and at 11:15 the Tonight Show Welcomes Dorothy Kirsten and Lorne Greene..
Mr. Jingeling (Max Ellis) had begun his visits at WEWS-TV 5 on behalf of Halles Department Store..weeknights at 5:30 PM..
TV Guide Schedule-Wednesday, November 27, 1963..
10PM Eleventh Hour-Conclusion of a crossover story from "Dr. Kildare"
3:30 AFL Football-Denver Broncos at Kansas City Chiefs-Curt Gowdy and Paul Christman report, with TV 5's Paul Wilcox doing a scoreboard after the game. All ads and schedules courtesy TV Guide.. I would like to take this opportunity to wish all a blessed and safe Thanksgiving..Over the weekend I have a TV/Radio post from November 1957 using the Canton Repository I will be working on.. I had asked at the end of the November 9 article that anyone that had any memories about watching the station or any specific facts about ownership or local hosts to contact me..Well, two of our regular readers, Sportsteve24 of the Youngstown area and John F. Zies, came through in a big way..Sportsteve24 tells us that an owner of WXTV-45 was Sanford Schafitz, founder of WWIZ-1380 Lorain, Ohio and WFAR-1470 (Now WLOA) Farrell, Pa., and the "45 Hop" Teen Dance Show was apparently hosted by "Boots" Bell, longtime Disc Jockey at WHOT-1330 Campbell/Youngstown, Ohio..
John Zies sent me this very informative E-Mail based on volumes of "Television Factbook" of which he owns most editions from 1962-1996 (Would love to own that resource)..It details power and antenna of the 1960-62 version of channel 45 as compared to 21, 27 and 33 at the time.as well as specific dates of operation, etc.. Ownership: WXTV, Inc, 803 E. Indianola Ave., Youngstown, OH. (Not very informative) This address is now home of a recording studio. Period of Operation: November 15, 1960 to either February 28 or March 1, 1962. The two listings disagree about the end date. 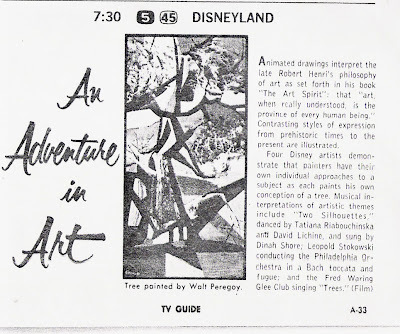 Obviously the TV Guide listings for March 1962 were provided before the plug was pulled. In Akron we could receive 21, 27, 33 and the old WKST 45, but I do not remember ever seeing WXTV. I am really enjoying your articles. Found your site through Ohio Media Watch. I lived in Akron from 1952 to 1962 and had a great interest in TV. I still remember the Cleveland VHF channel changes, the coming of WAKR-TV 49 to Akron and installing a converter box to receive it, and the construction of antennas for Youngstown reception. Hope in the future you do an article on WAKR-TV, as I have mentioned in a couple of blog responses. If I can provide any additional historical data let me know....John"
A couple of interesting points:The power of WXTV Channel 45 was flea powered compared to 21, 27, or even 33 which even today 33 is'nt very strong..with a 20 mile radius, one wonders if WXTV-45 would even make it to Alliance, Ohio on a good day..The 803 Indianola Avenue address confirms the TV Guide Channel listings..Also, assuming the March 1, 1962 date of final sign-off was corrrect, The detailed listings of March 16, 1962 never aired.. Thanks again to John F. Zies and Sportsteve for the helpful insight..
WJW-TV 8 ad for "Bozo" in December 1960..Ed Fisher, Longtime radio personality, was said to have been Cleveland's Bozo. As indicated by the lack of programming, I could find no TV Guide Ads to represent WXTV-45..
We saw in our last post that WKST-Channel 45 had moved down the dial to channel 33 around December 1, 1959. ..That left the familiar Youngstown limeup of 21-27-33 that local viewers started getting used to..Channel 45 was basically "turned in" to the FCC..It wasnt terribly long before someone gave channel 45 a second go..This time as Independent WXTV, making Youngstown a 4-station market for about 2 years.. The biggest difference aside from loss of Network hookup (which ended up being huge) was that channel 45 had an even later sign-On time (6PM). I imagine it bacame harder, with less advertising dollars, to buy and keep any syndicated programming, old or new, as time went by. I have not been able to find out who owned this incarnation of Channel 45, but there was a permit for WXTV Channel 73 in 1965 owned by a "Community Telecasters" of Farrell, Pa. I cannot really tell if they operated WXTV 45 or not.. There is almost no information about WXTV anywhere to be found unless I pore through old Youngstown Vindicator articles.Havent the time or financial resources to really do that.. 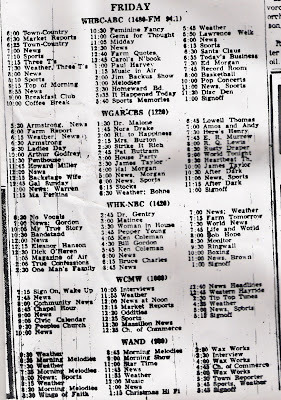 The best thing I can do is compare TV Guide Schedules from the period..We know they were on the air from at least December 3, 1960-March 16, 1962..The last day they were listed in Cleveland's TV Guide.. While WXTV had a fairly decent lineup of Syndicated Shows, They were starting already to buy fewer movies-and run them 2-3 times a week.. Here, there were a few short local shows, but the rest of the schedula was basicaly all movies-The Only filmed shows besides movies, were "Big Picture" and the like..They seemed to have a very small film library..
Another Note:In acquiring TV Guide listings, what I get date wise tends to be entuirely at Random..In both December, 1960 and June 1961 the Movies Bandido, Spring Reunion, Shanghai Story and The Showdown were shown..pointing out just how small the film library was..
Now lets look at Friday March 16, 1962. 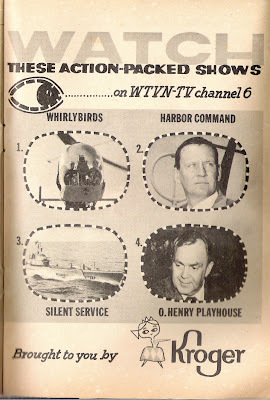 It appears to be the last date WXTV-45 was carried in Cleveland's TV Guide. By now just about all Syndicated programming was gone and all that was left was a few movies and very cheap local shows..
11PM Trial At Tara-About St. Patrick Standing Trial for converting Druids to Christianity. Channel 45-WXTV just couldnt get anything going..After a short while it was probably obvious they were not going to make it long term..The 1964 law requiring TV sets to have UHF/VHF Tuners should have helped WXTV some and probably would have changed other later channels in the Cleveland/Youngstown Markets. While 3-16-62 is the last day of TV Guide listings, it May have stayed on the air longer..The grand Y-Town Independemt TV experiment had pretty much failed..
Channel 45 remained silent from late 1962-1973 when Akron, Kent State and Youngstown State Universities appropriated channel 45, now licensed to Salem/Alliance, Ohio as WNEO-PBS WEAO-49 was added in 1975..both stations simulcast as PBS 45/49 In Akron-Canton/Youngstown, Ohio. 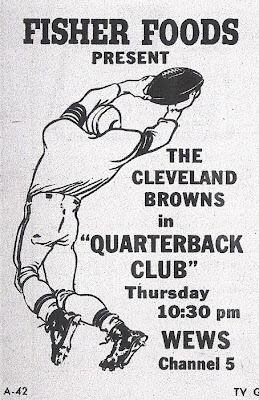 Incidentally, in the mid 1950's both 45 and 49 were ABC in Youngstown/Akron at the same time.. Finally, anyone that has any memories of WXTV-45 from 1960-62..or inforation about the station more specifically as far as programming, personalities, etc..It would be appreciated very much..Plese contact me through ny e-mail or blog comments..
TV Guide Ad in 1968 for the "Dan Ryan Report" Ryan would end up as WKBN-AM 570's morning show host for many years.. Early in the Blog, at the end of April/First part of May 2007 we shared the formative years of Youngstown TV with the sign-on of WKBN-27 and WFMJ-21 (at first 73)..Now we'll take a look at a little bit of later Youngstown TV History.. Some background: WKBN, while primarily CBS, carried generous portions of ABC and DuMont TV schedules, some shows in non-prime time hours..October 30, 1957 brought the establishment of WKST-TV channel 45 in New Castle, Pa. 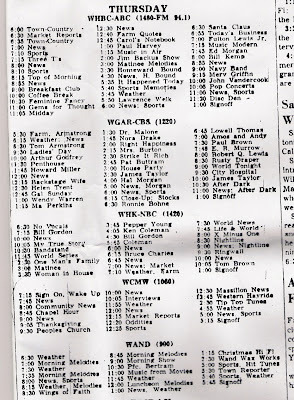 The Youngstown Market's first ABC affiliate..As noted in the May 10-16, 1958 TV Guide Pittsburgh Edition, no less than 9 of the 12 listed stations in places like Altoona, Clarksburg, Steubenville/Wheeling, Johnstown, and of course Pittsburgh and Youngstown, were at least partial ABC affiliates. So WKST-45 technically became the first full time ABC affiliate in Western Pennsylvania, a few months before WTAE-TV 4 Pittsburgh signed on..
WKST-45 was the third UHF in a UHF Market..ABC was just starting to establish itself and still didnt have much to go on ratings wise compared to NBC and CBS..45 did carry ABC in pattern pretty much at this time..
3;30 Do You Trust Your Wife? WKST stayed on Channel 45 through at least most of 1959. Between November 28-December 3, 1959 the station had moved to channel 33, still as WKST but relicensed to Youngstown..
By 1964 Channel 33's call letters were changed to WYTV..Local News began with Paul Burke at 11PM weeknights by this time..Also, by 1964 Barney Bean had begun a long run as Children's Host..
9:30 Dateline:Youngstown-Charles DeVault-Live talk show-This may have mutated into "Good Morning Youngstown" with Gary Cubberly and Cindy Ikins by the mid-1970's..I remember watching "GMY"
WKST/WYTV's first location was the First Federal Plaza in New Castle then moving to 3800 Shady Run Road, Youngstown by 1959..They are still located there. WYTV is also notable for being the Youngstown home of Cleveland Indians Baseball in the 1960's and 70's, as well as Y-Town's first Fox affiliate from 1994-98..They have recently been sold to Parkin Brodcasting, and are now in a "shared services" agreement with WKBN-27..Their digital service is MyTV Youngstown which carries the My Network and WYTV News, and some retro programming..
Next:WXTV 45..A try at an Independent in the Youngstown area.. 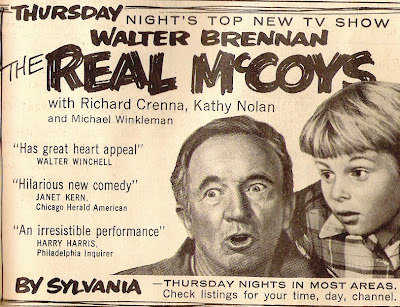 Here, courtesy of YouTube poster conanconquer, is the first minute or so of Barnaby's final telecast on WUAB-TV Channel 43 Lorain-Cleveland airing March 30, 1990 at 9AM. Here, Linn Sheldon completed about 42 years on television in the Cleveland area. 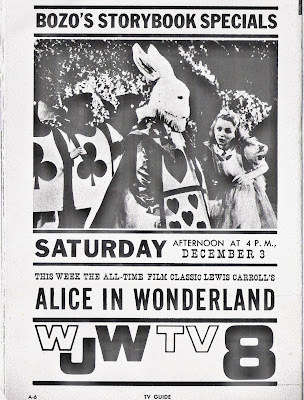 He hosted dozens of shows, including talk/interview shows, entertainment and kids shows, Movie Hosting duties and in his earliest days, he even read the next days schedule on WEWS-TV 5 in 1948-49. Rogers Jewelers sponsored a 3-day a week record pantomime show by Sheldon, which was said to be the first sponsored show in Cleveland. For all his talent, and everything he did in Television, he will be always remembered as "Barnaby", children's host for the better part of 33 years on KYW/WKYC-TV 3 and WUAB-43..It was said he could take a prop chest and with no script, "wing" a show when neccessary. He had that kind of talent..
After living in Florida briefly, Linn came back to Cleveland to enjoy his retirement among family and friends. Gray Publishing produced his Memoir, "Barnaby And Me"..in 1999. Linn Sheldon passed away at the age of 86 April 23, 2006. "If anybody calls, tell them Barnaby said hello. Tell them I think that you are the nicest person in the whole world. Just you.."
This is the only known video available of Barnaby on YouTube. Again, thanks to Conanconquer for originally posting it..